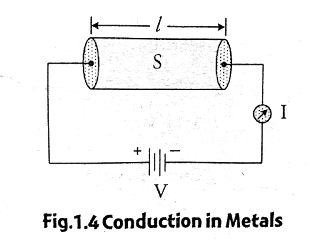 In metals, the electrical conductivity depends on the number of charge carriers (free electrons) present in the material. The negative sign indicates that the charge of the electron is negative. 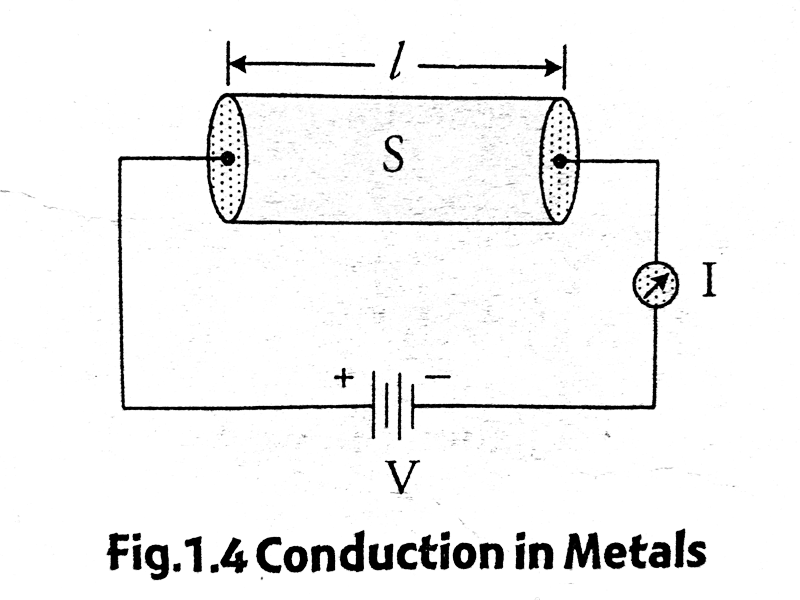 Now, when we apply a voltage 'V' to the metal, then the electrons in it starts to move with an average velocity called drift velocity (Vd) from one end to another end (through a distance l), giving rise to current conduction in the metal. 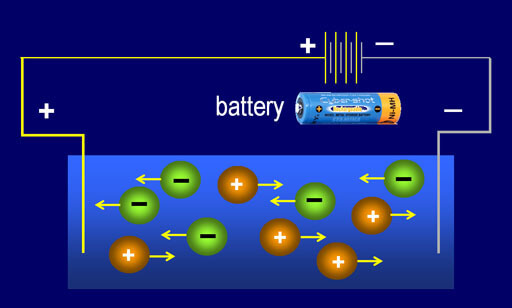 Here the number of electrons flowing per second through unit area (the current density), depends on the applied field. Thus if the electric field (E) applied is more, current density (J) will also be more. It is defined as the quantity of electricity flowing per unit area per unit time maintained at unit potential gradient.